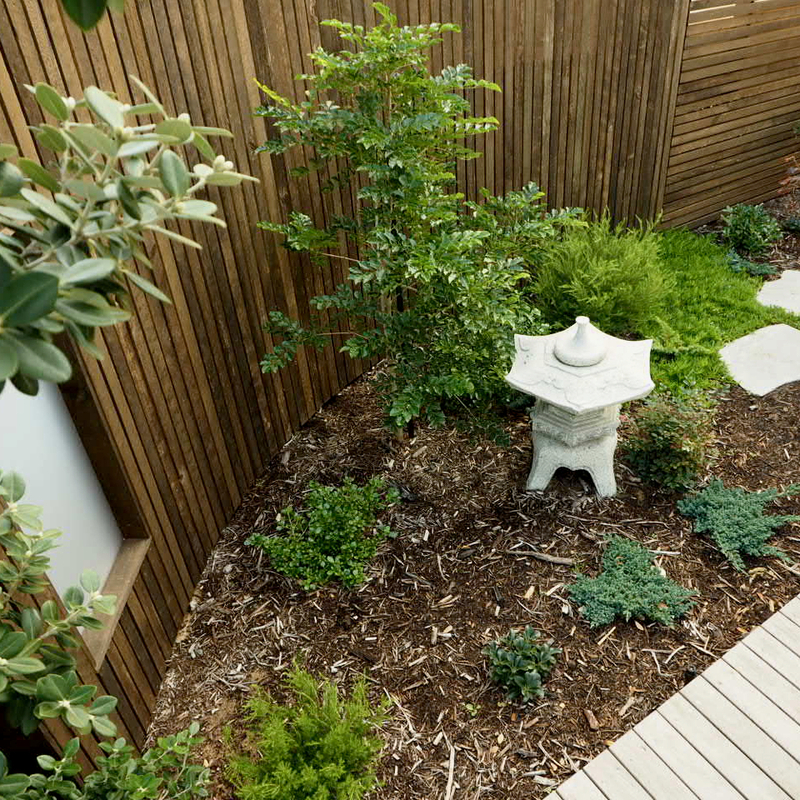 The imaginative seed for this project was the very solid granite Japanese lantern that the clients owned, and wanted used in the renovation of their side garden. At about 2.5m wide, it was too wide to just be a path, but too narrow to be a true garden. I also fretted about creating one of those cringe-worthy Japanese imitation gardens that throw in a few Japanese elements but don’t have much design sense to them. I hope that’s not what we ended up with! I loved introducing some shoji screens to force some meandering along the path, with a subtle glimpse of the lantern at the very end. Soft materials and planting, some of which was old and gnarled and needed some clever pruning before planting, and the clients were happy with the outcome.